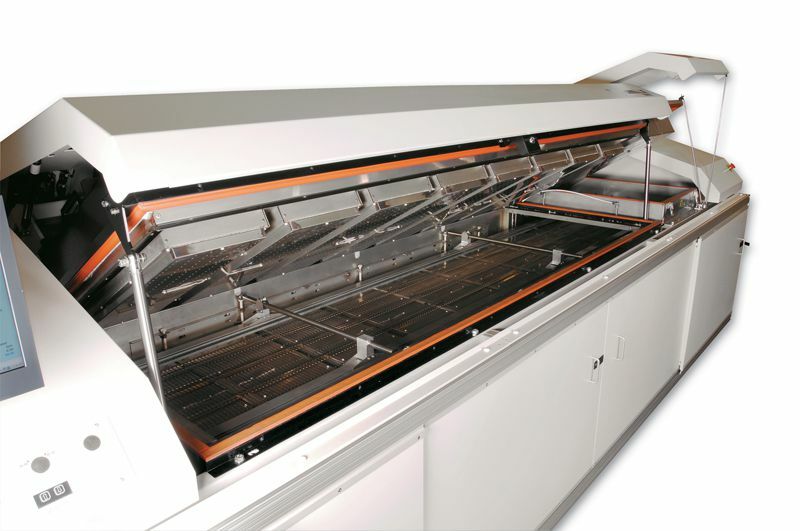 This SMD soldering reflow oven Pyramax 150a z12 has 12 heated zones and automatic width adjustment for the boards. Heating is accomplished via a forced impingement convection system. Forced convection is provided by a proprietary blower system. Soldering spec sheet to download or to print with more information on the BTU Pyramax 150A z12 air reflow oven.